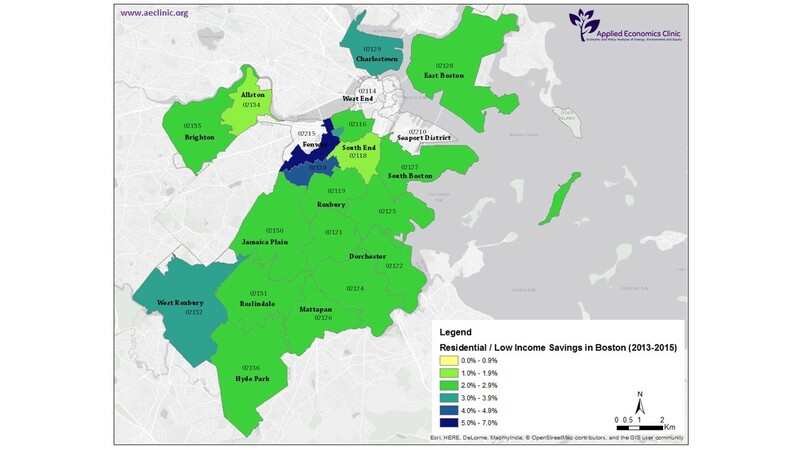 Do All Communities Have Equal Access to Energy Efficiency in Massachusetts? Massachusetts’s electric and gas providers’ draft plans to make energy efficiency measures available to consumers were released for public review on April 30, 2018. Massachusetts’ Green Communities Act, signed into law in 2008, requires electric and gas distributors to provide “all cost-effective” energy efficiency measures. That means any program, product, or policy—from insulation to LED lightbulbs to letters sent to consumers comparing their energy use to their neighbors’—must be provided to households and businesses, so long as it will cost the state less than the cost of the energy it saves. If it’s cost effective, distributors must make it available to their customers. This far-reaching efficiency policy has led Massachusetts to rank first in the United States in energy efficiency for seven years running: a commendable achievement. However, Massachusetts state law places no obligation on the electric and gas distributors regarding how cost-effective energy savings are distributed across communities. The Somerville-based Applied Economics Clinic, commissioned by the Conservation Law Foundation, issued a report in late February entitled “Accessing Energy Efficiency in Massachusetts.” The report provides a preliminary analysis of Massachusetts energy efficiency data and reaches two important conclusions. 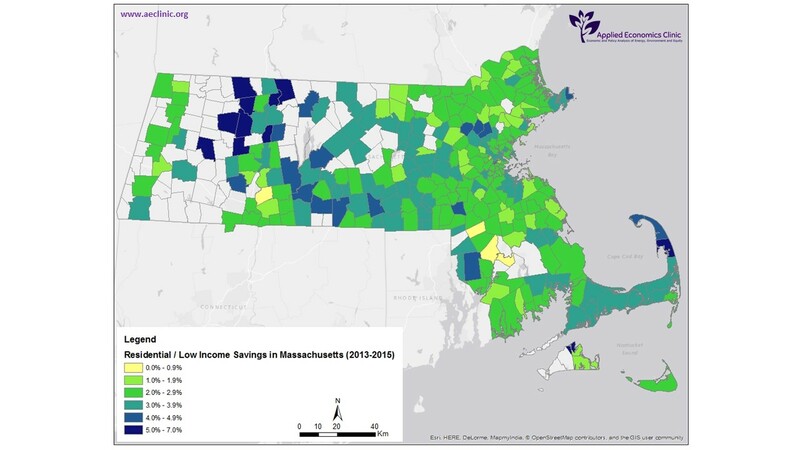 First, based on the information made public by electric and gas distributors, energy efficiency savings are not distributed evenly across towns in Massachusetts, Boston neighborhoods, or utility territories. Annual energy savings average 2.8 percent across the state, but range from 0.3 percent in Taunton to 6.7 percent in Tisbury. Similarly, we found differences in energy savings across towns and neighborhoods according to characteristics such as income, race/ethnicity, nativity, and English proficiency. Second, data necessary to rigorously analyze the causes and implications of differing access to energy efficiency savings across Massachusetts communities are simply not available for review by the public. To adequately address the question of disparate access to efficiency savings, more and better data are needed from electric and gas distributors. Together, all Massachusetts energy consumers contribute to the efficiency funds that support these measures and programs: every family and every business. Equitable access to this critical resource cannot be assured without detailed, publicly available data regarding energy savings and basic demographic information regarding the participants receiving those savings. Liz Stanton, PhD is Director and Senior Economist of the Applied Economics Clinic (www.aeclinic.org).